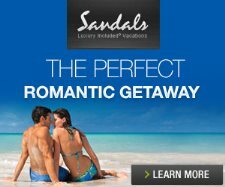 Sandals Negril Resort features a luxurious Caribbean open lobby and inviting atmosphere that makes guests feel relaxed and at home. Luxury lobby and front desk area. Lounge area overlooking the beach and ocean.